Continuing on with the daily my daily anime questions. This is a hard one. 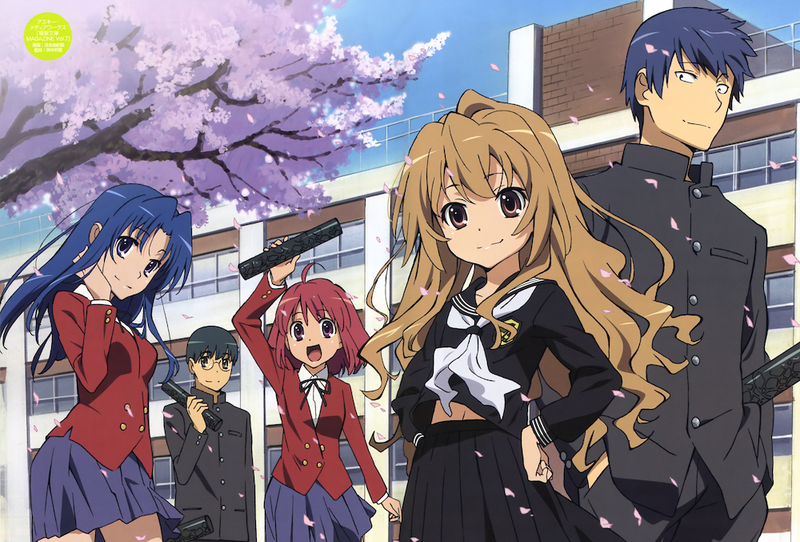 Picking a favourite anime out of this list… But if I had to chose one, I’d probably stick with Toradora. It was my very first favourite and I want to keep it as my most favourite because of the plot, characters and general atmosphere of the show. Though I wouldn’t go around and recommending it to every single person I see, and I won’t say that all other anime aside from it is bad, but it will always have a soft spot in my heart. Aside from Toradora, I’d say my other favourite would be the Monogatari series, as it a beautiful peace of animation,with great character development, engaging dialogue, thought provoking themes, deep plot, intelligent humour, symbolism…. meanwhile at Shaft. I also guess that Taiga and Shinobu are the sole reason why I love tiny girls so much. But thats a discussion for another post. Essentially anything I give a 10 on my list is a favourite of a genre, or has something unique, that other shows have not been able to show me. And I of course would recommend you take a look at those shows, if not all then at least some.